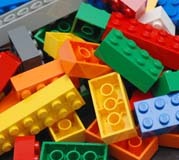 Kids can drop-in and build with LEGOS every Saturday at the library! Work by yourself or with friends. Projects will be put on display in the library for a week. All materials provided.